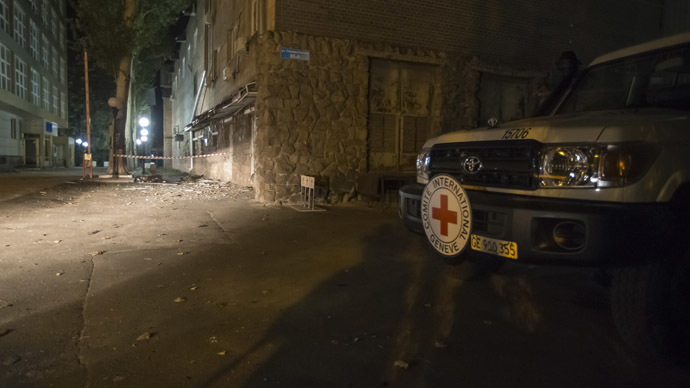 The Swiss Red Cross worker, who died in Donetsk shelling on Thursday, was killed on a rebel-held territory as a result of an attack from the position controlled by Kiev’s armed forces, Russia’s Foreign Ministry said in a statement. 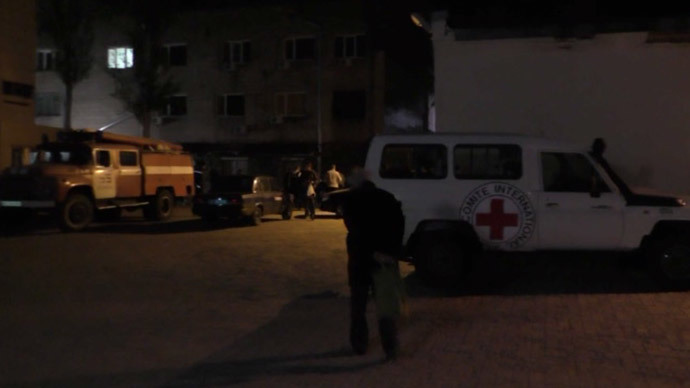 “We note the hectic reaction of the Kiev authorities, who hurried to shift the blame for the death of the employee of this established international organization [Red Cross] from themselves,” the ministry said. Moscow condemned the incident as “a blatant violation” of international humanitarian law and insisted on an objective and thorough investigation into the matter. The Ukrainian Foreign Ministry has also expressed its condolences while putting the incident on the par with “the terrorists taking the OSCE employees hostage.” The ministry uses the term ‘terrorists’ to refer to anti-government forces in eastern Ukraine. The attack was aimed at the “intimidation of the international organizations’ representatives, who help to bring the peace and calm back to Donbass,” Kiev added. #Ukraine Our sincerest condolences to our colleague’s family and friends. We share your grief. #Media: please respect their privacy. Laurent DuPasquier, 38, a Swiss national who was deputy head of the Red Cross mission in Donetsk, was killed on Thursday in shelling which was carried out allegedly from an Uragan (Hurricane) rocket system, a report by the OSCE said. The document also stated that 15 minutes after the shelling, the OSCE observers got a phone call from the head of the International Red Cross Committee (IRCC) in Kiev, who told them that the Donetsk office was under attack, and one of the employees was dead. He had been standing in front of the building when the shelling began. Earlier on Friday, First Deputy Prime Minister of the Donetsk People’s Republic Andrey Purgin also claimed that the rocket that hit the Red Cross office was launched by the Ukrainian military. “There’s no question about that. This was a rocket projectile of the Uragan system. It was, of course, launched by the Ukrainian side. Its range is up to 40km. That is to say they were shelling the center of Donetsk, without paying any attention to the location they were to hit. It just happened that it hit the Red Cross office,” according to Purgin.